Welcome to Episode 128 of SunCast, Solar Warrior! If you’ve been keeping up you know that I’ve been diving into the nexus of blockchain and energy lately. Well, I consider today’s guest one of my own mentors and experts on the topic, and I’m lucky to have met him. Thanks to his right hand, Monica, who reached out to me on Twitter, we’ve gotten to know each other this year, and I’m jazzed to finally have him on SunCast. Girard Newkirk is an entrepreneur on a mission to bring critical civic infrastructure to millions of homes in developing countries, starting with Africa. He has raised over $1.3 Million for his Crytpocurrency kWh Coin in an ICO earlier this year, and has big plans for his network of tokenized clean energy assets. Today we dig into the why, when, how, where and who with Girard. I learned a lot, and I am certain you’ll come away with some insights. If you’re a member of the SunCast Tribe, you will have access to the additional Exclusive interview with Girard where he disclosed his top picks and prognostications for cryptocurrencies in 2019. Welcome to Episode 126 of SunCast, Solar Warrior! Welcome to this week’s Tactical Tuesday. 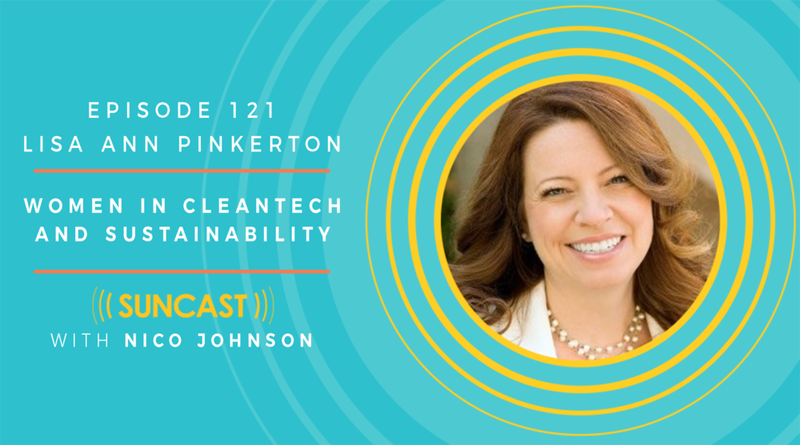 On this week’s episode, Adam Hall, middle school science teacher and founder of the non-profit Million Solar Stars, shares how and why he chose to accelerate the transition to a clean energy economy via the non-profit sector. Contrary to what some may believe, many non-profits act as a bridge – not a vehicle – so that tech, software, and other providers can extend their reach nationally and internationally. That is why I believe collaboration between for- and non-profit organizations is critical for lasting change, and why I felt it was important to highlight Adam Hall and his organization in today’s episode. Adam teaches in Dubai’s sustainable city, and has worked in the renewable energy industry since 1999. Working with students holds a special place in his heart; he knows that the solar programs he provides will fuel progress both in the industry and in our world for years to come. In short, with projects ranging from solar windmills to solar-powered and remote-controlled racecars, Million Solar Stars is doing an exceptional job of making solar learning fun and engaging for the soon-to-be change-makers, leaders, and keepers of our planet. Welcome to Episode 116 of SunCast, Solar Warrior! Nadim Chaudry is a world traveler, a voracious reader, and a market maven the likes of few I've met. His founder story is an intriguing one, but so is his backstory, and it's all here. Welcome to Episode 115 of SunCast, Solar Warrior! On Monday I had the awesome opportunity to meet Dan Whitten, VP of Communications for SEIA, and he invited me to record the opening remarks by SEIA's President Abby Hopper as she kicked off the 2018 Solar Power International and Energy Storage Int'l conference and North America Smart Energy Week. I was honored and grateful for the gracious offer, and so today I'm sharing part of that opening session with you here. If you're a member of the SunCast Tribe, you can hear the rest of the 40 minutes I recorded with the panelists in the session via your Patreon Feed. Read more about the Report Abby Hopper was mentioning here. 114: SPI 2018 is Here! Welcome to Episode 114 of SunCast, Solar Warrior! 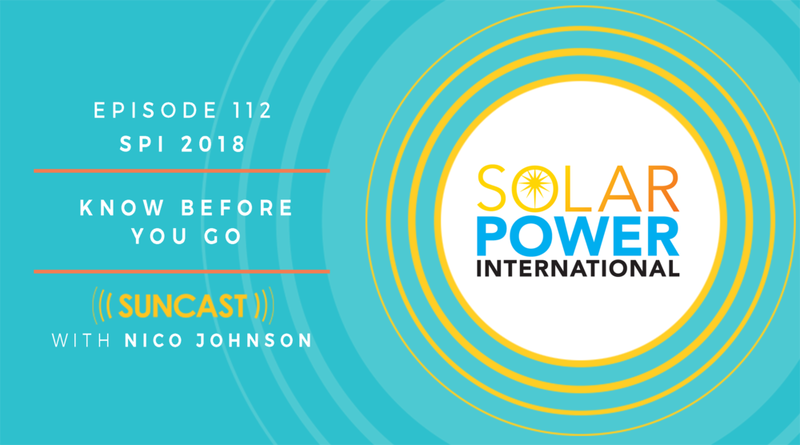 On this episode, Christian Roselund from PV Magazine and I discuss the reality of 100% renewables on the grid, and he gives an overview of the PV Magazine roundtables happening this week at Solar Power International 2018. If you missed my SPI preview episode, be sure to give it a listen here. Thanks for tuning in to this week’s Tactical Tuesday. On this week’s episode procurement expert Michael Foster of Origis Energy joins us and unpacks the ingredients to the success of his company’s development team and project execution. So listen in to sharpen your skills and get some tangible takeaways for the week ahead. Recently, there has been a fair amount of movement in solar manufacturing. Ten years ago there were only three or four manufacturers in the solar modular market, all of which were extraordinarily expensive, with long lead times, and frequent shortage issues. Because of this, Chinese manufacturers were able to seize the high demand opportunity and ramp up their manufacturing process, significantly improving the quality of their product. Since then, Michael has noted a similar pattern with the Chinese battery manufacturers—they’re bringing the quality up, the price down, and producing batteries nearly as good as the A1 solar batteries. But how do we monitor quality control? It’s neither practical, nor financially feasible to walk the factory floor in each facility grinding the details of each product. What to do? “Start relying on those experts…our integrator partners for quality validation.” Michael encourages. More and more integration companies are cropping up that you can trust with the complexity of solar product quality control. The knowledge base is growing, easing the integration process—what Michael argues is “the linchpin to successful energy storage projects. To put it simply, if you can’t successfully integrate and meet your demand, you can’t make money. You need to build a team of people you can rely on, people who, as Michael says, “jump out of their seat and are excited.” That’s what makes a good partner. Someone you can rely on to carry out and build upon your procurement strategy. This team, these partnerships will allow you to fully take advantage of the growing competitive market.